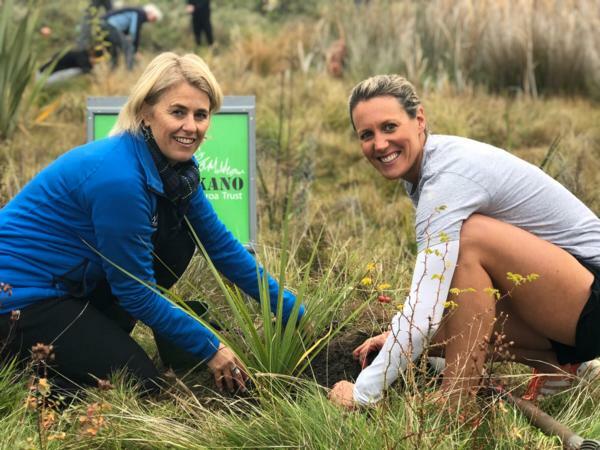 More native trees will feature on the Challenge Wanaka run course as a result of the event naming the Te Kakano Aotearoa Trust as its official charity. Te Kakano Aotearoa is a Wanaka community based plant organisation that restores natural habitats in the region through native planting. The latest tree planting was held earlier this week next to a section of the Challenge Wanaka run course, Penrith Reserve near Beacon Point, and featured Challenge Wanaka Trustee and competitor Kelly Good who has qualified for the ITU Triathlon age group world championships on the Gold Coast in September. Te Kakano spokeswoman Megan Williams said the trust was ''really excited'' to now be working with Challenge Wanaka as the event’s official charity. Challenge Wanaka is New Zealand’s largest triathlon festival attracting over 2600 competitors. The next event is Saturday 16 February.